Main Interests (Jump to Projects or Publications ). 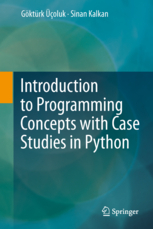 Introduction to programming concepts with case studies in Python, ISBN: 978-3-7091-1343-1, Springer, 2012. My Ph.D. thesis is available here. O. Tursun, C. Aker, S. Kalkan, "A Large-scale Dataset and Benchmark for Similar Trademark Retrieval", submitted (Available as arXiv:1701.05766 | Dataset: METU Trademark Retrieval Dataset). J. Ralli, J. Diaz, E. Ros, S. Kalkan, N. Krueger, "Disparity Disambiguation by Fusion of Signal- and Symbolic-Level Information", Machine Vision and Applications, 23(1):65-77, 2012. (Publisher's Website). N. Pugeault, S. Kalkan, E. Baseski, F. Woergoetter and N. Krueger. "Reconstruction uncertainty and 3D relations", Int. Conf. 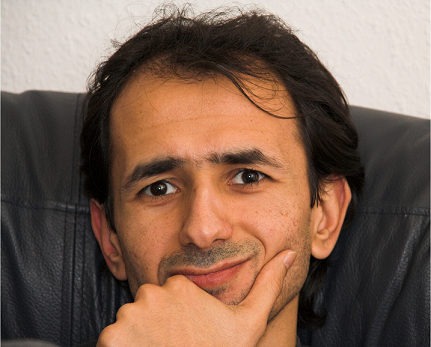 on Computer Vision Theory and Applications (VISAPP'08), January, 2008. D. Aarno, J. Sommerfeld, D. Kragic, N. Pugeault, S. Kalkan, F. Woergoetter, D. Kraft, N. Krueger. Early Reactive Grasping with Second Order 3D Feature Relations", ICAR 07: The IEEE International Conference on Advanced Robotics, Jeju Island, Korea, 2007. S. Kalkan, F. Woergoetter, N. Krueger, "Statistical Analysis of Second-order Relations of 3D Structures", Int. Conf. on Computer Vision Theory and Applications (VISAPP'07), March, 2007. (PDF) NOTE: There was a minor error in results in the conference proceedings version, which is removed in the PDF version provided here. The conclusions and discussions are unaffected by this change although qualitatively the version on this webpage is better. A similar content was presented as poster in two workshops: Early Cognitive Vision Workshop in 2004 and Dynamic Perception Workshop in 2004.